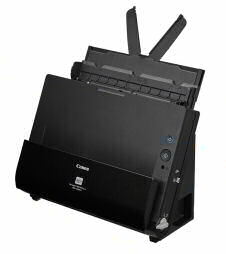 The Canon imageFORMULA® DR-C225ii/DR-C225Wii Document Scanner’s innovative, upright, space-saving design frees up desk space. 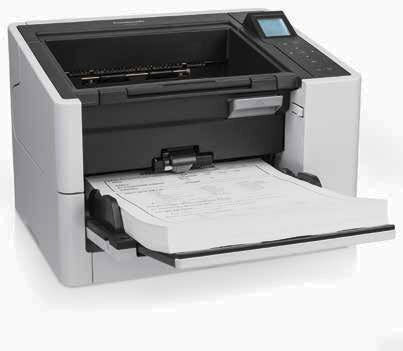 Its flexibility and high image quality are only surpassed by its ease of use, making it ideal for converting paper-based documents to digital files. 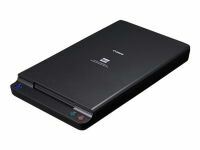 The wireless capability of the DR-C225Wii makes it ideal for sharing the scanner among multiple users. Both scanners come backed with a three-year limited warranty. The DR-C225ii scanner is ideal for general purpose distributed scanning of a variety of document types. 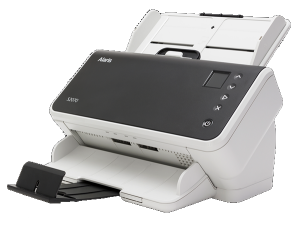 In corporate or remote offices, this scanner is well suited for use by individuals or small workgroups to modernize paper-based processes, helping to increase efficiency and productivity. Many areas, such as legal, financial, healthcare, and government, can benefit from its small size and ease of use. When combined with the bundled software, the DR-C225ii scanner can be used for converting documents into editable electronic files; scanning business cards and organizing contacts; file archiving, retrieval, and sharing; PDF creation; and much more. With top feeding and default top eject, the DR-C225ii scanner has a very small operational footprint. This slim, narrow scanner’s unique upright design is ideal for environments where desk space is at a premium. By default, the DR-C225ii scanner features intuitive front-side-forward, top-up item feeding. It also includes a mode through which a single click can adjust multiple feature settings to easily deliver an optimal scanned image. This scanner is bundled with Windows® and Mac® drivers for easy integration with third-party scanning software. The bundled Canon CaptureOnTouch software enables users to configure routine scan jobs for quick and easy, one-touch access and can also route scanned images directly to cloud applications,* such as Evernote™, Microsoft® SharePoint®, and Dropbox. Scanning at up to 25 ppm, both sides of an item at the same time, the DR-C225ii scanner can reliably handle a wide variety of document types, such as thick or thin documents and plastic or embossed cards. The DR-C225ii scanner also includes features to handle long documents up to 118” in length or oversize documents up to 11” x 17”(*), and double-feed detection to help ensure no data is lost in the event that one occurs. (*) 11x17 folio mode is when both 'halves' of an 11x17 sheet are scanned separately , then seamed together as one image. For maximum image quality, the DR-C225ii scanner includes features to help improve character legibility, as well as to straighten and remove shadows from scanned images. Another setting is useful for scanning mixed batches of documents and photographs, automatically adjusting the output resolution to help improve image quality while reducing image file size. The DR-C225ii scanner can even detect color documents automatically, helping to reduce batch preparation time. *Rollers feed the paper, the paper & ink glazes the rollers and the rollers will need to be end-user replaced. These are the rollers. 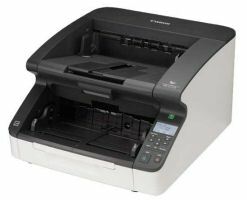 The Canon imageFormula DR-C225 document scanner delivers fast scans with excellent text-recognition accuracy, and it comes with a highly useful collection of top-tier application programs.